This research program has existed since 2009 and the research is performed by two PHD candidates: Kevin Dullemond and Ben van Gameren. It is supervised by Arie van Deursen and Rini van Solingen in the Software Engineering Research Group at the Delft University of Technology. The research is performed in close cooperation with IHomer. Say you are a project member in a co-located project and the other members of the project team are located in the same room. When you face an issue you require help with, you turn around and look through the room. Which colleagues are present? Which colleagues seem available? Who has the skills to help you out? In a glimpse you assess the available people and decide how to ask for help (or decide not to ask). In such settings you also have unplanned informal conversations (for example at the coffee machine), you learn about the competences of your colleagues, what they are working on and how busy they are. Because of this knowledge about the status and competences of your colleagues it is much easier to assess whether it is acceptable and advantageous to approach one of them and ask for help. Now imagine the same situation, but your colleagues are working hundreds of miles away. When you face the same issue it is much harder to ask a colleague for assistance. This is because it is far harder to asses everyone's status with respect to having the time to help you. Next to this it might also be difficult to find out who has the competence you need to help you solve your issue. Furthermore, you are not sure which means of communication you should employ to contact with your colleague once and you do not really know which means of communication are at that time feasible at all. Is your colleague currently using one of these means of communication? Does this block this means of communication? Does the target prefer to use certain means of communication? In dislocated settings you simply do not have the same overview as you have in co-located setting by simply being there. RQ1: What types of contextual information are important in collaborative software engineering? RQ2: For which of those types is there a lot to gain with respect to sharing awareness information in a more passive way in a distributed environment? RQ3: How can sharing awareness information in a more passive way be valorized by technological support? Communico is the first tool we developed to support sharing awareness in a distributed setting. In the case of Communico this concerns seeing what conversations others in your project team are having and offering the possibility to join these conversations. Check out the video for an introduction and the paper for a more thorough explanation. Kevin Dullemond is a PhD candidate at the Delft University of Technology since October 2009. In 2004 Kevin started at the Technical University in Delft with the Bachelor Technical Informatics from which he graduated in 2007 with honors. In the Bachelor Project he did to finish the study he developed Spidre for a small company called Cope with three other students. Spidre is a web-based program which helps to standardize purchasing data. Following the Bachelor, Kevin started with the Computer Science master in 2007 and graduated with honors in 2009. In the Master project he did to finish the study he researched the advantages and challenges of the combining the agile and distributed development approaches and how technological support is best applied to deal with these. It was supervised by Rini van Solingen and Arie van Deursen. Kevin carried out this research project as a joint effort with Ben van Gameren, also one of the people he did his Bachelor project with. Also part of the research was a 'knowledge group' consisting of five Dutch Software Engineering companies: Exact Software, IHomer, Mavim, SDL Tridion and Xebia. The research group would meet up with Ben, Rini and Kevin on a monthly basis and discuss the concepts identified during the research and help develop new ideas. The research resulted in a Master thesis and a publication to the International Conference on Global Software Engineering (ICGSE) discussing a framework of technological support for Global Software Engineering (GSE). Both the publication and the Master thesis can be found on this site on the 'publications' and 'other publications' tabs respectively. 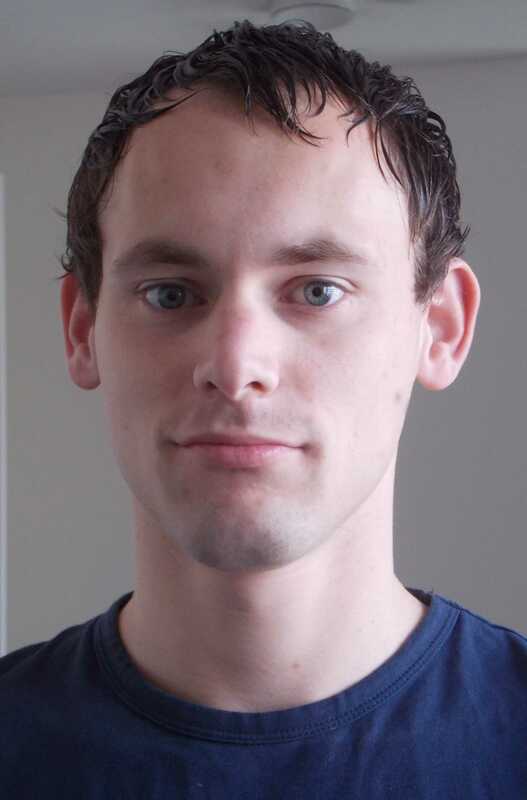 Following his graduation Kevin decided he enjoyed his cooperation with Ben van Gameren, the supervision by Rini van Solingen and Arie van Deursen and research in general and decided to continue his academic career by becoming a PhD candidate. As a PhD candidate he again works together with Ben van Gameren, who also chose to become a PhD candidate, and is supervised by Rini van Solingen and Arie van Deursen. The subject of the research which is conducted during the PhD is quite related to the research conducted during the Master project. It however takes another angle, instead of focusing on aspects of agile software development it focuses on restoring the awareness in distributed teams: the knowledge about the work-context necessary for coordinating actions, managing coupling, discussing tasks, anticipating others' actions, and finding help. In the PhD Kevin is employed both by the TU Delft and IHomer. The main advantage of this dual-appointment is that IHomer provides a setting which is particularly suitable to carry out the research because IHomer standardized working from home often and thus they often work in a distributed fashion. Ben van Gameren is a PhD candidate at the Delft University of Technology. In October 2009 he became part the Software Engineering Research Group of the faculty Electrical Engineering, Mathematics and Computer Science. In 2004 Ben started with the Bachelor Technical Informatics at the Technical University in Delft from which he graduated in 2007. In the final project of the Bachelor of Technical Informatics he and three other students developed a web-based program which helps to standardize purchasing data, called Spidre. 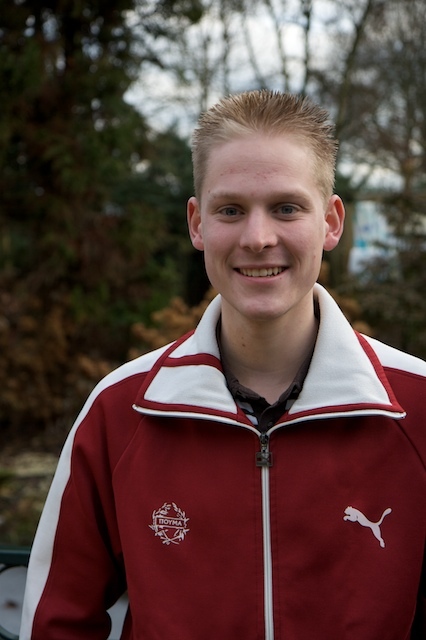 After successfully completing the Bachelor of Technical Informatics Ben started the Master of Science study program of Computer Science, also at the Technical University in Delft, from which he graduated in 2009. In the Master Project he did to finish the study, he researched the advantages and challenges of combining the agile and distributed development approaches and how technological support is best applied to deal with these. This Master Project was carried out in close collaboration with Kevin Dullemond and was supervised by Rini van Solingen and Arie van Deursen. During this research project a 'knowledge group' was set up to discuss the concepts identified during the research and to help to develop new ideas. This 'knowledge group' consisted of five Dutch Software Engineering companies: Exact Software, IHomer, Mavim, SDL Tridion and Xebia. The Master Project resulted in a Master thesis and a publication in the proceedings of the 2009 IEEE International Conference on Global Software Engineering. Following the master of Computer Science Ben decided to continue his academic career by becoming a PhD candidate. As a PhD candidate Ben will continue the interesting and promising line of research conducted during the Master Project. However, instead of focusing on aspects of agile software development the research will now focus on restoring the awareness in distributed teams: the knowledge about the work-context necessary for coordinating actions, managing coupling, discussing tasks, anticipating others' actions, and finding help. During this research Ben will again collaborate with Kevin Dullemond and be supervised by Rini van Solingen and Arie van Deursen. IHomer is a small Dutch Software Engineering company which was founded in August of 2008. Its main principles are: individuality of its employees, mutual trust between its customers and its employees, transparency of the development process and continuity, both with respect to customer relations and the products it develops. One of the prime driving forces behind supporting the principles of IHomer is working from home. IHomers work from home as much as possible and collaborate by using collaborative technologies. Therefore, IHomer is a particularly suitable setting for carrying out the ASPIC project.